Perfect Audience is a service that aims to help small businesses and entrepreneurs retarget their advertisements and social media presence. They employ a slew of services that allow marketing professionals regain exiting web traffic. These services include Facebook-integrated advertisements, banner ads across the web, and advertisements on Twitter. Perfect Audience assists companies in increasing conversions and sales by using audience data to target ads to the right audience with pinpoint accuracy. Businesses who sell any kind of service or product through a website should consider using web and Facebook retargeting to beckon back any previous customers. The simple fact of the matter is that the vast majority of website visitors–more than 90%–will leave your website before signing up or making a purchase. This statistic remains constant even for the most visually appealing and optimized websites.The addition of a web or Facebook retargeting campaign ensures that visitors who have shown interest in your product or services in the past come across your content again in a natural and fluid manner. This let’s you stay prominent in the mind of potential customers, increasing the likelihood that they will return and make a purchase. Retargeting is a highly effective form of online advertising. Unlike other methods, retargeting ensures that your advertising dollars go toward reaching customers who are already interested. This makes retargeting a highly profitable advertising tool. The typical Perfect Audience customer sees $8-10 in income for every one dollar spent on Perfect Audience retargeting campaigns. This is because Perfect Audience focuses on reaching people who have demonstrated previous interest and only need a reminder to get them back to your site. Perfect Audience’s web retargeting works by serving potential customers advertising banners on popular sites like Youtube, heavily trafficked blogs, and news sites like the Huffington Post. Perfect Audience uses OpenX, Pubmatic, Google Display Network, and many other ad networks to cast a wide net that is nevertheless specifically designed to appear for people who have visited your site. A single campaign is capable of taking advantage of all of these resources. Web retargeting assigns a Perfect Audience tracking tag to your website’s code. This tag is never noticed by your visitors, but it places a specific cookie in visitors’ browsers that lets them be identified anonymously as someone who has spent time on your website. Visitors with these cookies constitute a retargeting audience. Once you’ve built a retargeting audience–or several retargeting audiences–you are free to use Perfect Audience to deliver perfectly-designed ads to those users on over 100,000 different websites that work with Perfect Audience. Users notice these ads and are reminded of your product or service, increasing the likelihood that they will return to your site. Facebook retargeting is a slightly different methodology. It’s a completely new retargeting channel that works via Facebooks new Facebook Exchange feature. Perfect Audience uses visitor tags to anonymously keep track of visitors, then Facebook reads these visitor tags from vistors’ browsers and displays ads for your website. Facebook ads are an appealing option because they are far easier to create than banner ads, and on top of this, sidebar ads on Facebook have an extremely low cost per thousand views. Some estimates put Facebook CPMs at 60% lower than other web-based advertisements. Get started with Perfect Audience today by claiming your free 14-day Perfect Audience trial. Perfect Audience is so confident that you will see the value in their product that they are also giving out $100 worth of credit for use in your retargeting campaign as part of this coupon. Signing up takes less than a minute! Perfect Audience’s service is easy to setup and use, and establishing a Facebook campaign is as easy as it can get. Although there are larger retargeting services out there, Perfect Audience’s prices make it accessible to small businesses. In general, the cost per thousand impressions (CPM) seems to wind up being a little less than $1. Perfect Audience is in use by over six hundred small to mid-sized businesses, and the company’s president reports that 97% of users who accepted a free trial period with the software opted to pay to continue using it after the free trial expired. These details speak to Perfect Audience’s effectiveness. Perfect Audience also offers the ability to run multiple campaigns from a single account, making it an effective tool for those who manage more than one site. Mobile retargeting is so important because more and more webtraffic is coming from mobile devices these days. Furthermore, if your product or service is based on a mobile app or features mobile app utilities, your product may be suffering from “the churn.” Most apps “churn” 80% of their users, meaning that users install the apps only to uninstall it shortly afterward. Mobile retargeting may help you track down users who didn’t give your app the amount of interaction it needed to make a lasting impression. You’d be surprised how many people give an uninstalled app a second shot after being reminded of it a few weeks later. Perfect Audience’s Dynamic Retargeting makes certain that you get more sales by actively altering advertisement strategies to fit a user’s browsing styles. With Dynamic retargeting, you can recall wandering shoppers by displaying ads that feature the specific products they were viewing on your site. You can also individualize every impression, creating a more personal experience for your new customers. Once you’ve uploaded your product inventory, Perfect Audience will keep track of which users take note of which products. When the time comes to display an ad, Perfect Audience choose the most relevant product and use your customizable advertisement to bring that customer back to your page. Web retargeting is easy, effective, and completely customizable. Perfect Audience helps you regain lost customers by displaying your customer-specific advertising content on a wide array of major websites. Bring back lost customers with only a few minutes of design work, and receive up to ten times the profit spent on retargeting. 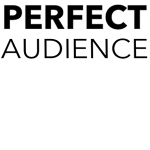 Perfect Audience offers a broad internet presence for very low prices. Bring your content to users by becoming a part of their social media experience. Perfect Audience offers high quality user targeting with Facebook ads that demonstrate a very high level of user engagement.